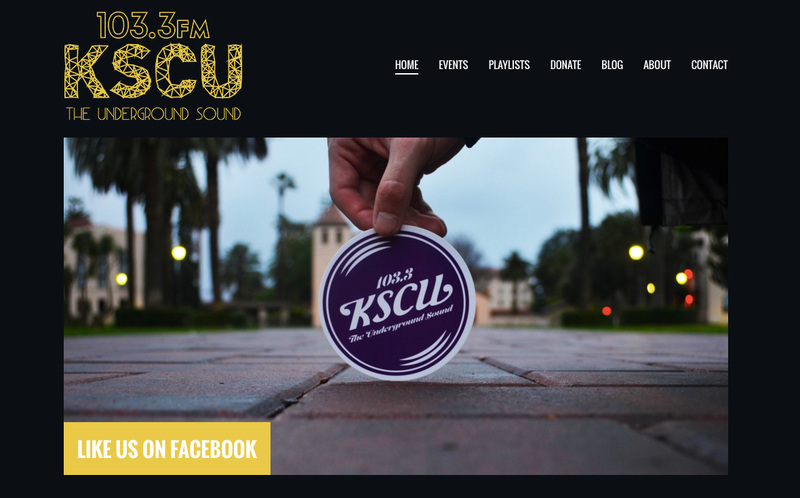 KSCU 103.3 FM has a long tradition of radio broadcasting at Santa Clara University dating all the way back to 1948. 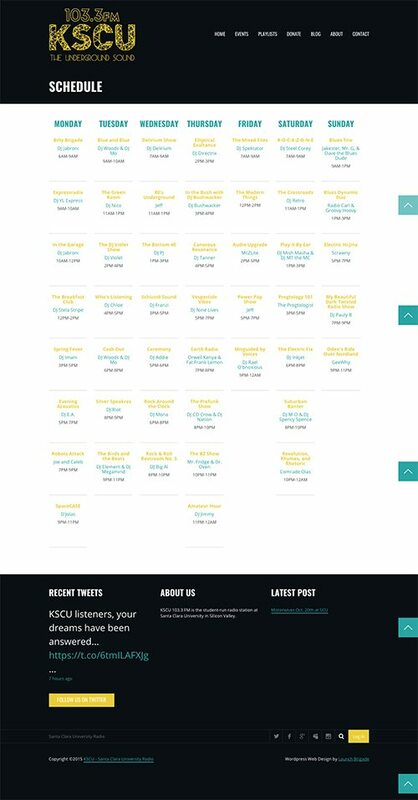 It offers an eclectic selection of non-commercial music, sports, and public affairs programming. 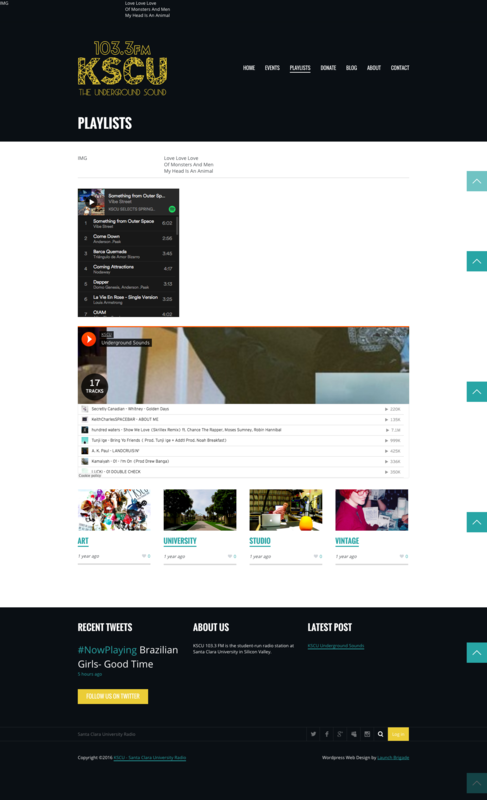 In order to continue their mission, they desperately needed a new website. It would need to let them easily train new volunteers and get the students involved in running a media business. 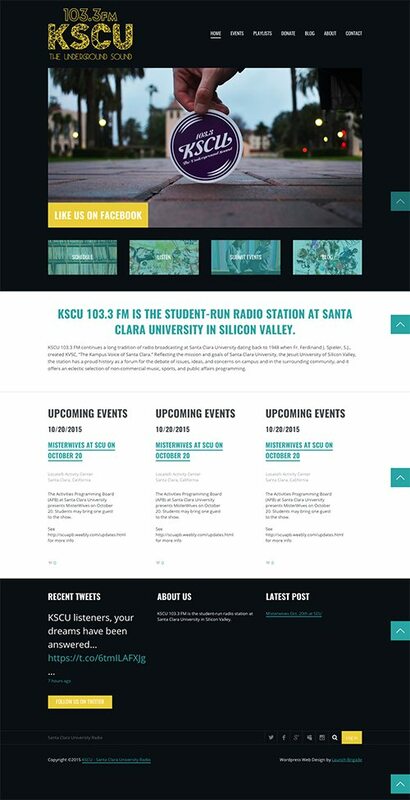 The new site allowed KSCU to showcase playlists and deliver an events calendar, both of which the students can edit with ease. The beautiful, youthful designs enhanced the KSCU brand. The site has been nominated — twice — as among the best in the country for a college radio station.